If you’re currently carrying around multiple credit accounts with balances – whether they’re student loans, various credit cards, or a mix of types – you might have considered debt consolidation. In fact, you’ve probably already been forced to think about it, thanks to email solicitations or preapproved offers in your mailbox. But is debt consolidation really as great as it sounds? While it can be a useful tool, and can even save you money or time in the end, it might not be the fix-all you expect. In fact, it might do more harm than good, depending on your situation. 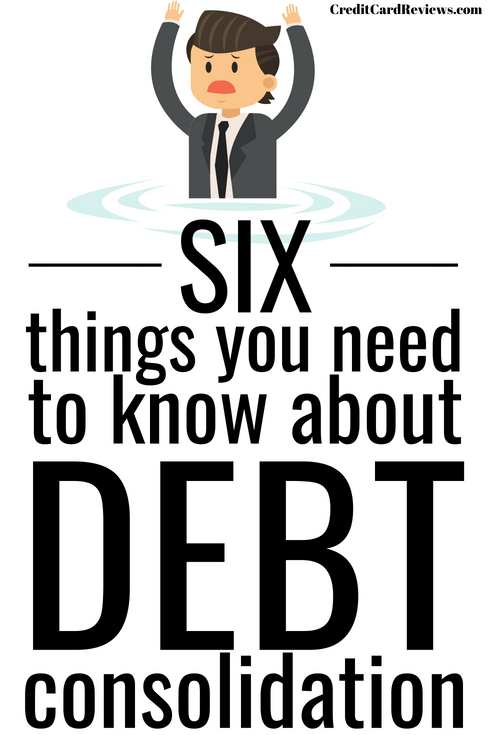 Here are 6 things to know if you’re thinking about consolidating your debt. Yes, You’ll Save on Interest. One of the key selling points of debt consolidation loans is that they can save you in interest charges each month. This is especially true if you are consolidating credit card debt, which averages about 16% APR but can easily top 30% with certain cards. Moving that debt to, say, a personal loan with an interest rate of 7-10% will shave quite bit off of the interest you pay each month, and allow you to put more toward your principal balance. You might even consider consolidation if you currently have a loan with a variable interest rate. As federal rates ebb and flow, so will your APR. Sometimes, this can result in a much higher interest rate than you could lock in with a fixed rate loan. 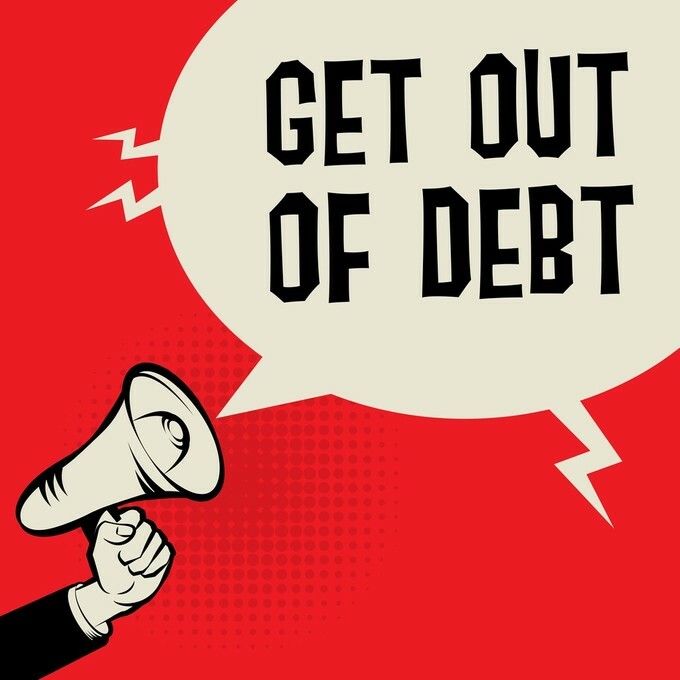 If you are carrying debt on accounts that already have reasonable interest rates, especially those that are fixed, there’s really no reason to think about consolidating that debt. Even if doing so would simplify your repayment. I am still paying off most of my student loans. Between Navient, my university, and a third-party private loan company, I have about eight accounts that I’m paying down. I’ve made significant progress in recent years and the end is in sight, but I must admit: keeping track of it all can be exhausting. Even with the accounts set on auto-pay, it can still be difficult to keep track of balances, payment dates, and how long I have until pay-off. Once, there was a glitch in the Navient system and those auto-pay loans didn’t get billed. It took me two weeks to realize that three of my loans were past-due! Keeping track of it all can be a lot. This has been the primary motivation for me, all of the times that I considered consolidation. By moving all eight of those student loan balances to one loan, I could easily track how much I owe, when payment is due, and when the debt will be repaid. You Can Pay Off Debt Sooner. Because consolidation loans almost always allow you to reduce your APR, you can easily use them to repay your debt even sooner. Even if you’re already throwing extra money at the balance, you can squeeze more juice by reducing the monthly interest charges. Going from a 16% interest rate to, say, 8%, you’ll cut your interest in half and reduce your monthly payment. With that money saved each month, you can pay down on even more of your principal balance. This means that you’ll satisfy your debt sooner. Debt consolidation makes it possible to repay your debt faster. Unfortunately, it doesn’t guarantee that it will happen. This is due to simple human nature: when we are given extra resources, especially if we were financially pinched before, we tend to redirect them. A consolidation loan might free up an extra $100 a month for you, but are you disciplined enough to put that extra money toward your balance? Doing so would pay it off even sooner, but many of us simply don’t have the dedication to commit to something like that. This is the same reason that advice such as cutting out your daily Starbucks visit isn’t impactful for everyone. Sure, you’re saving money in one area, but you’re likely to just redirect it to another area instead of saving it (or repaying debt). This means that it could take you just as long – if not LONGER – to now pay off the debt. It Will Impact Your Credit. A large portion of your credit score is calculated by your average age of accounts (AAoA). The longer that your accounts have been open and in good standing, the better your credit will be. New accounts will drop that average, as will closing long-standing accounts. Getting a consolidation loan, unfortunately, does both. When you open a new personal loan and use it to pay off various debt, the impact is two-fold on your AAoA. You’ll reduce the average simply by satisfying those existing loans, and you’ll reduce it further by adding a brand new account. There’s another impact, too, by applying for the new loan in the first place. An inquiry or two a year won’t hurt you, but if you’ve applied for several credit-related products lately, your credit score will take yet another hit. You Could Lose Your Collateral. Many personal loans will require a co-signer, collateral, or both prior to approval, especially if it’s for a large amount. If you fall on hard times or are irresponsible with its repayment, the repercussions could be great. A home equity loan, or “second mortgage,” means that you could lose your home if you fail to repay the loan on time. A personal loan could use a home or vehicle as collateral, meaning you could lose either if you’re not on top of payments. And dropping the ball on repayment with a co-signer means that the other person’s livelihood and credit are at stake. A better option would be to utilize a 0% credit card balance transfer. These are offered by many card issuers and allow you to pay off your debt without interest for a period of time. This can save you hundreds of dollars and speed up repayment, as long as you are responsible along the way. Debt consolidation sounds like a great idea, but there are many important things to remember. If you aren’t careful or disciplined enough, this “great opportunity” could actually wind up setting you back further.